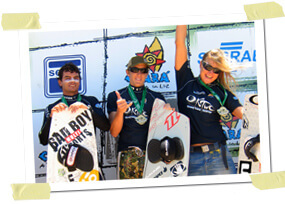 The first seasons in my career as kitesurf professional I primarily focused on competition. I successfully followed the PKRA (Professional Kiteriders Association) World Cup as well as I participated in independent events all around the globe. 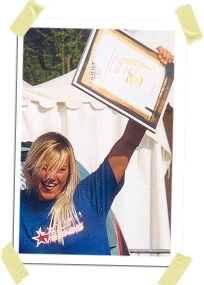 I celebrated numerous beautiful victories and have successfully established ‘Kitegabi’ as a main player in todays kiteboarding-world. Check out my achievements after seasons below. Today my main focus has shifted to freeride media projects (tv, dvd, press) with an emphasis on wave-riding and pushing the limits off the competition scene. 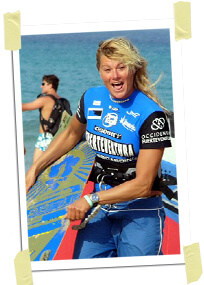 I still participate in very selective events all around the globe, however, feel I can contribute more to the development of the sport by emphasizing and working around the purest form of kitesurfing that’s achievable for everyone. Please visit my freeriding section and read the short interview about my thoughts on comps and more.